The internet of things is an amorphous concept, much like the internet itself: People assume it’s a network of connected devices that will somehow let them do something or monitor something over the internet. But the folks trying to build the internet of things can’t be content with a mere concept; they need to refine it, so they can actually deliver on the awesome promise that the combination of connected devices, cloud computing and faster data analytics can offer. Last night in San Francisco, five speakers at the GigaOM internet of things meetup hashed out a definition for the concept, called for better design associated with internet of things-based services and begged people to share their data. As for that definition, it wasn’t exactly definite; but all of the participants agreed that the connected device wasn’t the product, the service was. Ideally, the internet of things should fade into the background; what matters is what it allows people to do. 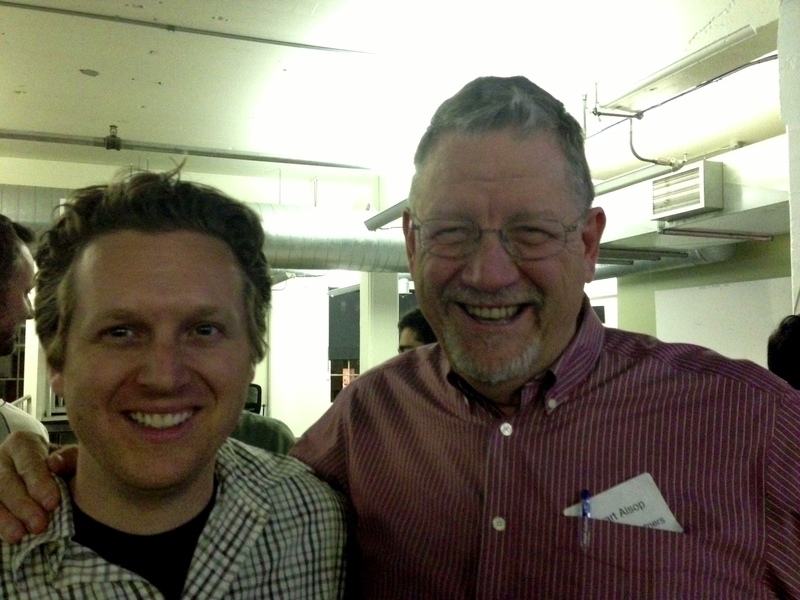 Dave Merrill of Sifteo and Alsop Louie Partners at the meetup. “Our current programming tools are rigid and deterministic,” said Mike Kuniavsky, a principal in the Innovation Services Group at PARC. He argued that developers are not prepared to program for a world where hundreds of connected devices will work in concert to deliver services. The industry can’t afford to fall back on the current pattern of binary decision making and still deliver a real-time experience, which means that programmers will start having to think about how to connect these tools using probabilistic logic: in which the computer, not a human, chooses the most likely outcome. The other design elements that people must take into consideration are that these are not devices made for the screen, but devices that need to be integrated into everyday life, according to Roberto Tagliabue, executive director and software designer at Jawbone. It’s also important to think about the difference between a service and an app that might hope to have the user’s full attention. Design and programming considerations aside, the talk at the meetup later shifted to what happens as the smartphone replaces a variety of physical objects. Merrill didn’t think the “big glass slab” replaces physical devices, but instead that our devices will get more tactile and design connectivity in for specific uses. 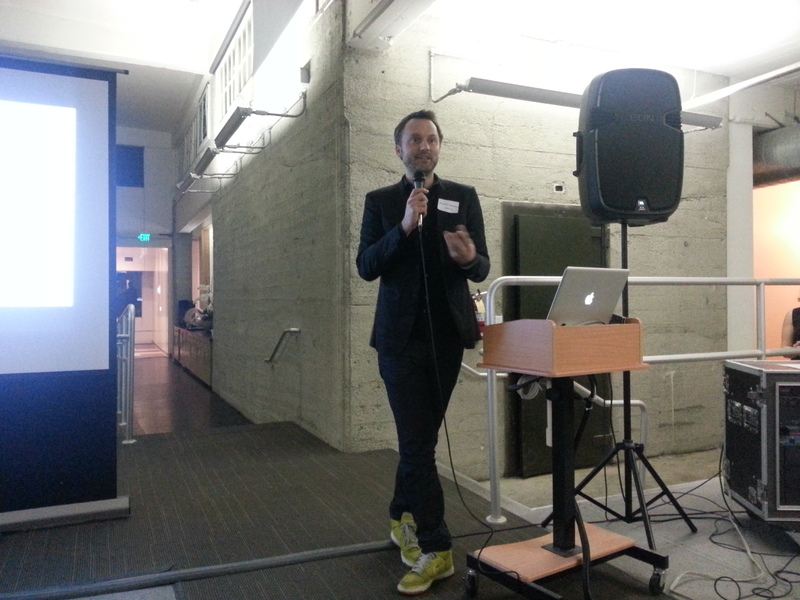 Several people in attendance wondered about the direction for the current internet of things. Usman Haque of Cosm outlined the ways that big companies like Philips, IBM and Samsung are talking about the internet of things as a way to boost convenience, but also as a way for people to abdicate their thought process to the dictates of connected devices. He also found efforts to consider security and privacy in our coming connected world as a threat to innovation, noting if the founders of the internet started their tinkering with worries about securing the network, it would never have evolved the way it did. He ended with a call to action for the people in the room, asking them to have fun and to build devices that were open, sharing the data they collected with an eye toward actually connecting things and giving others the opportunity to build on top of their original designs. In that way, the business model for the internet of things will mirror that of an app store, where the hardware platform provider and the developers share in the wealth. The visions and advice shared last night paint a utopian vision for our connected future, one that I hope comes to pass. But first, let’s get the definition of the internet of things spread far and wide. It’s about the services, not about devices. This story was corrected to reflect Mike Kuniavsky’s title at PARC. He is a principal not the head of Innovation Services Group at PARC. I believe one of the keys to success will be how devices expose their capabillities. The issues related to developing application over things will be similar to developing applications over existing web sites. If devices don’t expose suffcient metadata, then combining them will be difficult. In an ideal world, both web sites and devices would expose semantically rich metadata tbat would enable clients to combine data from them – a semantic web. Interesting and quite abstract at the moment. It’s hard to believe the “glass slab” will be the interface to all connected devices. As the article suggests it’s going to require a massive shift it the way we program and develop these devices. It will be interesting to see how IoT evolves. Nice article and a reminder we’re in very early days of IoT (perhaps to the quasi chagrin of GigaOm which wants to write about it as if it’s already omnipresent)! Meanwhile, three cheers for Mike Kuniavsky and Usman Haque! Over this side of the pond it used to be called Domotique (early days being late mid last century) and a big French company sold about 71 Home Automation systems. I note that the new Philips approach (Hue) is based on DIY (Home Depot/Solar City in American I think). Their new API has engendered interest but of the same order of users. When the big English company I worked for looked into it for the Security market we realised people are nosey and that they did not necessarily want to non-manually shut the blinds. I see where PARC are trying to blur IoT into researchey autonomous networks it helps recruiting if you have a moonshot angle but my bet is that another name will need to be thought up by quasi-marketeers before this stuff takes off. Honest.